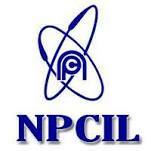 Nuclear Power Corporation of India (NPCIL) has published Advertisement for below mentioned Posts 2018. Other details like age limit, educational qualification, selection process, application fee and how to apply are given below. Qualification: BE/B Tech/B Sc (Engineering)/5 year Integrated M Tech with 60% marks in respective engineering disciplines and valid GATE-2017 or GATE-2018 Score. Application Fee: Rs. 500/- For General and OBC & No Fee For SC/ST/PWD/DODPKIA. Pay Examination fee through State Bank Collect link.